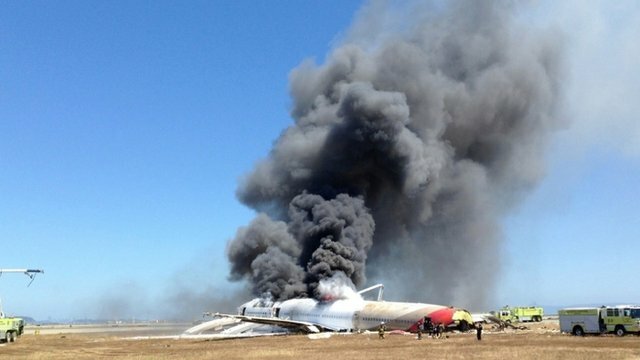 Crash plane 'tried to abort landing' Jump to media player Pilots of the plane that crashed at San Francisco airport on Saturday tried to abort the landing seconds before touching down, US investigators say. 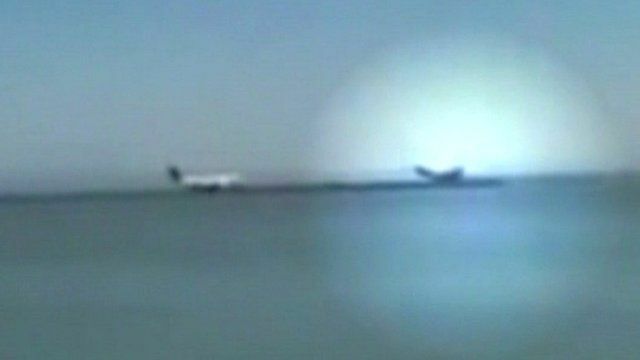 Eyewitness: 'Plane was out of control' Jump to media player An Asiana Airlines plane which crash landed in San Francisco was "out of control", an eyewitness has said. 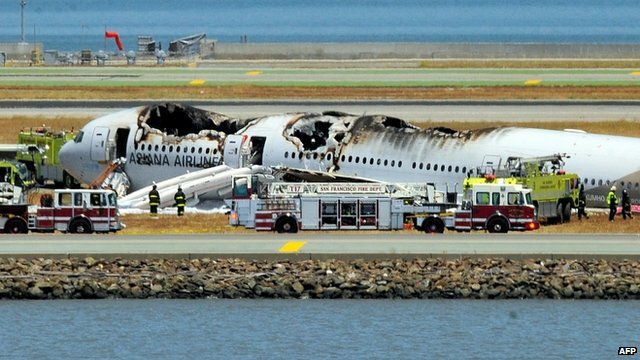 Survivor: 'I thought I was dying' Jump to media player A passenger from the Asiana Airlines flight which crashed at San Francisco International Airport said the pilot attempted to power the aircraft's engines and "lift the plane back up" before it hit the ground. New video of San Francisco plane crash Jump to media player The plane that crashed at San Francisco airport on Saturday was travelling slower than it should have been when it made its final approach, according to investigators. Pilots of the plane that crashed at San Francisco airport on Saturday tried to abort the landing seconds before touching down, US investigators say. Initial inquiries suggested the Asiana plane was flying "significantly below" its target speed on approach. And the Korean airline revealed that the pilot was landing a Boeing 777 at San Francisco for the first time. 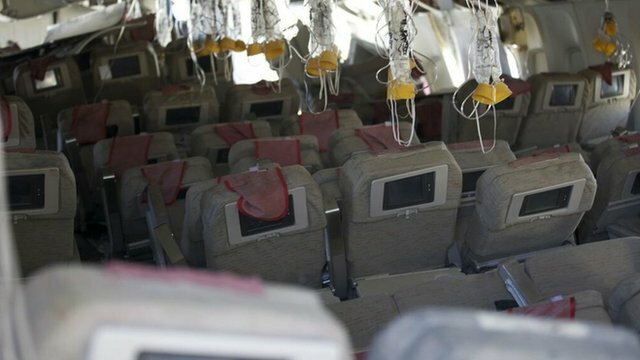 Two Chinese teenagers died and more than 180 people were injured when the plane hit the seawall.